Simon & Schuster, 9781476778945, 272pp. Each year, young people from around the world go to Silicon Valley to hatch an idea, start a company, strike it rich, and become powerful and famous. In Valley of the Gods, Wolfe follows three of these upstarts who have “stopped out” of college and real life to live and work in Silicon Valley in the hopes of becoming the next Mark Zuckerberg or Elon Musk. No one has yet documented the battle for the brightest kids, kids whose goals are no less than making billions of dollars—and the fight they wage in turn to make it there. They embody an American cultural transformation: A move away from the East Coast hierarchy of Ivy Leagues and country clubs toward the startup life and a new social order. 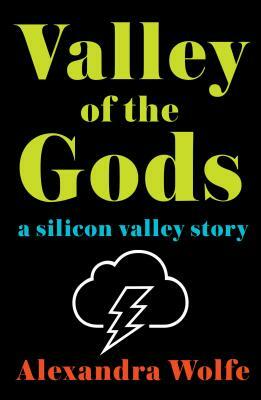 A blistering, brilliant, and hysterical examination of this new ruling class, Valley of the Gods presents tomorrow’s strange new normal where the only outward signs of tech success are laptops and ideas. Alexandra Wolfe is a staff reporter for The Wall Street Journal and writes the weekly column “Weekend Confidential.” After graduating from Duke University, she worked as a staff reporter for the New York Observer, The Wall Street Journal, and then Condé Nast Portfolio. As a freelancer, she wrote regular columns for Bloomberg Businessweek, features for Travel + Leisure and Departures, and has written cover stories for Vanity Fair and Town & Country. The Valley of the Gods is her first book. She lives in New York City.